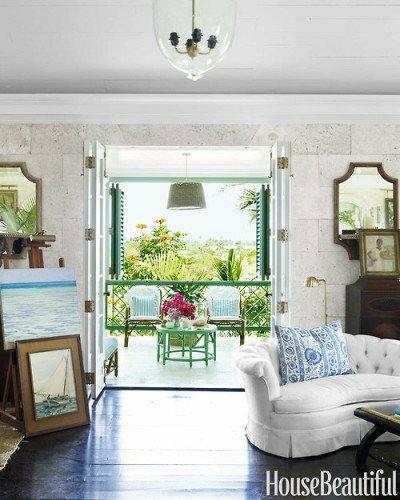 Painted furniture can add a whole new layer of interest to your decorating. 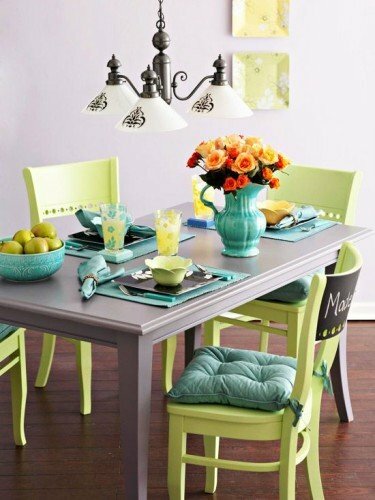 Green painted furniture is so crisp and perfect for spring. It looks great inside or out. From sprucing up tired old pieces to make new, inexpensive pieces really shine with a new unique style, painting furniture is not only for the budget conscious but also for style lovers who love to create, add to and make their furniture their own. This blog post shows the many faces of green paint color, how to use and create your own chalk paint, distress furniture and safe color combinations. It's is a great way to rejuvenate furniture, old or new pieces, often giving them a classic look by adding new hardware, using a different painting technique or different paint. 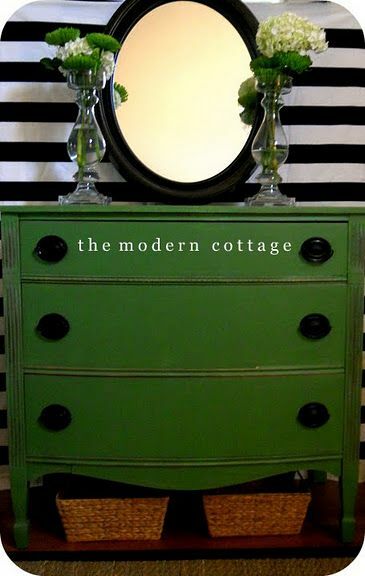 Green is such a great color, and depending on the shade, can be used in cottage, beach and french country decorating. If you need help with painting techniques you might like to read this on staining furniture or chalk paints and milk paints here. With so many shades of green, like crisp apple or sea green to bright, strong or deep paint colors, even small amounts, can have instant and dramatic effects on a room. Lacquered pieces for high shine or distressed, chalk paint effects for softer looks. 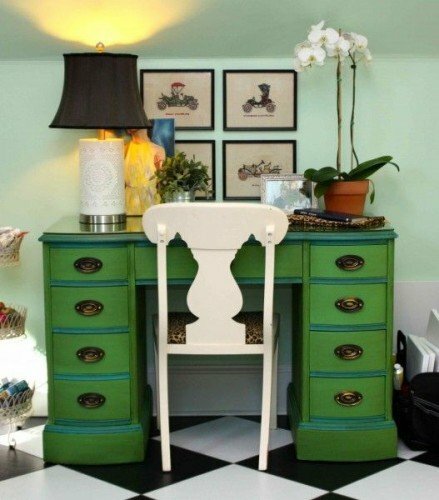 A single piece of brightly painted furniture can ignite a room, create a feature and make a classic furniture statement. Aim for for strong, bold paint colors to create a focal point and anchor the room. I like the boldness of green and how fresh, yet classic, it looks. 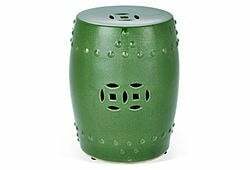 A lot of the latest green furniture paints have a vintage look and feel about them, which is what makes them feel so familiar and easy to live with. So how do you go about selecting your piece for painting? Keep reading.. Choose classic furniture shapes and styles. Even Ikea has pieces that I would call classic. These are furniture pieces that won't date; that can be moved from room to room, one year to the next, and, with fresh paint or wax, will always look great. Solid wood pieces work best. Vintage, retro or new, make sure the piece is sturdy and well built. Update or upgrade your furniture hardware. 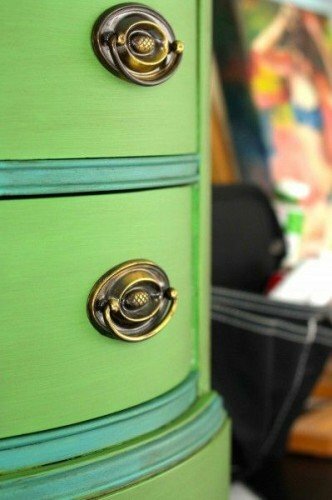 Add heavy brass pulls; the addition of shiny brass or gold handles pop beautifully against strong green paint colors. 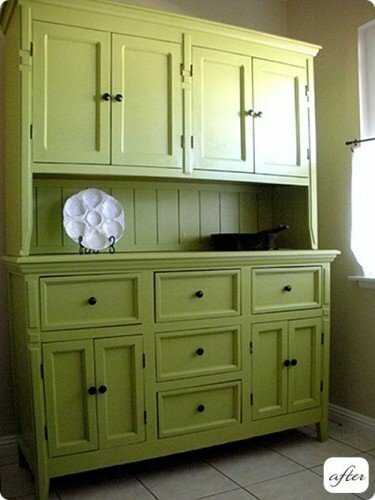 Green is a classic furniture paint color. But there are so many different shades of green, different tones for different moods and rooms. 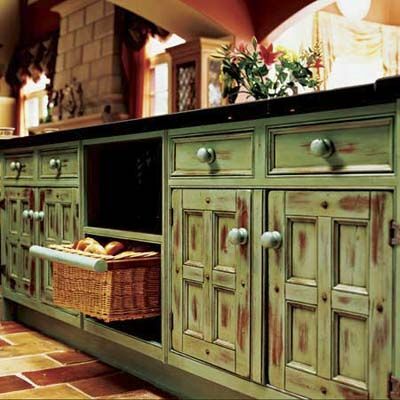 Traditionally, the French and Chinese have used strong green paint color with huge success. 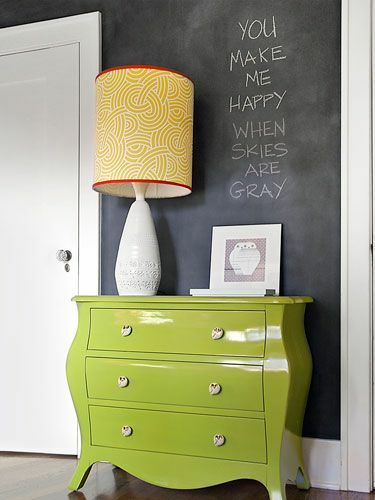 There are green paint colors with gray or yellow as a base. 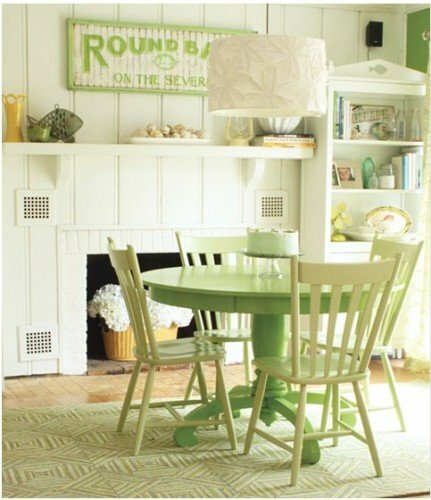 Annie Sloan's chalk paint Antibes Green is still a favorite. This makes a lot of difference, changing painted furniture into classic furniture pieces. So choosing the right piece of furniture can make all the difference. If you are looking for alternatives to Annie Sloan's Chalk Paint, consider CeCe Caldwell reviewed in the video below. If these paint prices are still a little steep for you, then try this Chalk Paint Powder Additive. I haven't tried it but after reading the reviews I have no hesitation of putting it on the list. Here's just one review by On The Go. We decided to use it while furnishing my daughter's house, as she was doing it entirely from upcycled furniture found in yard sales and thrift stores. We bought the small sample sizes of paint from home depot ($2 for about 12 oz) and mixed in approx 2 T of powder per can. The powder is a bit difficult to mix in, so in some cases we added a bit of water. Though the mixture can appear lumpy, it goes on pretty smooth and covers everything well, even without sanding. stripping or priming. No more than two coats needed. Drying time is quick, comparable to Annie Sloan, and for finishes we used either minwax or stain and polyurethane. Positives to this vs Annie Sloan - 1) cheaper, 2) can mix smaller amounts of many different colors of paint. Negatives - goes on slightly less uniform than the AS paint, though that may have been due to our poor mixing skills. With one bag we've done 8 chairs, a large oak dining table, two end tables, one coffee table, three occasional tables....and have more than 2/3 of a bag left. 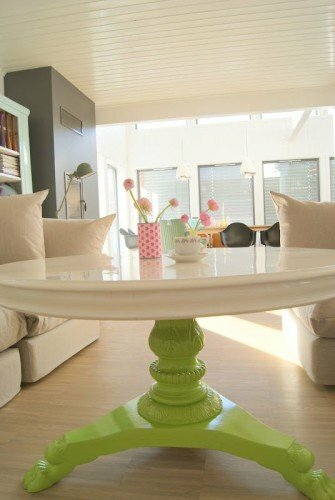 If the color is too strong, what about this piece, white glossy table top and a green painted table base? Its modern, clean and softer on the eye. If you love a bright glazed look, the secret is using an enamel paint. You get a harder finish like an oil based paint. An added bonus is that you can clean up using water. Here's a painting tutorial from Centsational Girl below. For the longest time I’ve been wanting to paint a piece of furniture bright Kelly green. It started when I found this Reed & Barton color glazed silver bowl from the 1960’s in a thrift shop for a dollar. A dollar for this beauty! So I wanted to bring this fun color into our home and once I found the perfect piece, this small campaign desk, off to the paint store I went to color match it! Here’s the desk I found at (of course) a thrift store for $40 – the hardware alone is worth that to me, but the added benefit was this desk with faux bamboo legs that would tuck nicely into the kids study/art/craft playroom. The desk was not real burled wood, but had a speckled and scratched surface, so painting it was an easy call. I followed the same steps I’ve mentioned before, 1. Remove the hardware, 2. Clean and scuff up the piece with a medium grit sanding wedge and 3. Prime with product designed for glossy surfaces (Zinsser is my fave). and this desk was perfect candidate. This enamel formula gives a harder finish like oil based paints but cleans up with water, I’ll definitely use it again – it comes in satin, semi-gloss and high gloss formulas. No Floetrol needed, this paint is that good. The color is a custom formula to match the bowl, but if you want two close matches, try ‘Grasshopper’ by Sherwin Williams or ‘Bunker Hill Green’ by Benjamin Moore. Finally I scrubbed and polished the brass hardware and reattached it. 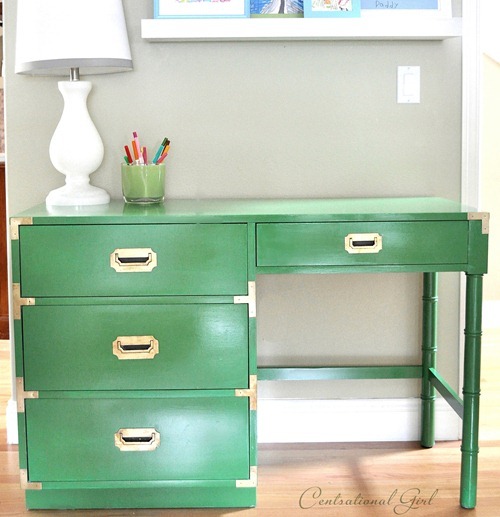 Now this fun Kelly green campaign desk sits in the kids’ playroom for art or homework. The full instructions are at Centsational Girl. So many green tones, right? You many need to spend time getting the base and color right before you begin but it will definitely be worth it, especially if you have a piece begging for some attention. If you love the look but not the mess, this entry piece could be perfect for you.